Neural Networks, Artificial Intelligence, Hybrid Knowledge Processing, Neurocognitive Robotics, Multimodal Integration, Data Mining, Machine Learning. My objective is to research into neural knowledge technology for intelligent systems. Our approaches are often motivated by nature, e.g. from biology, cognition and neuroscience. We want to study and understand nature-inspired, in particular hybrid neural and symbolic representations, in order to build next-generation systems, for instance adaptive interactive knowledge discovery systems, continually learning multimodal neural agents, and neuroscience-inspired robots. A list of current and recent project can be found at the Project page of the Knowledge Technology research group. Associate Editor for 8th Joint IEEE International Conference on Development and Learning and on Epigenetic Robotics (ICDL-EPIROB 2018), Tokyo. If you are looking for an interesting Postdoc or PhD research project, e.g. PhD around the following research topics, you could email(%20wermter"AT"informatik.uni-hamburg.de). Sometimes there are a restricted number of PhD studentships available on related and other topics. Furthermore, research / training opportunities exist from the EU for European researchers as Marie Curie Fellowships at different levels: predoc, postdoc, or advanced senior researcher. We are interested to host researchers who would like to strengthen the research in our team. 2018 Workshop on Intelligent Assistive Computing (at IEEE WCCI 2018), organised by Pablo Barros, Francisco Cruz, German I. Parisi, Bruno Fernandes; Rio de Janeiro, Brazil. 2018 Workshop on Personal Robots for Exercising (at HRI Conference 2018), organised by Sascha Griffiths, Stefan Wermter, Sebastian Schneider, Britta Wrede, Carlos A. Cifuentes G.; Chicago, IL, USA. 2017 Workshop on Computational Models for Crossmodal Learning (at IEEE ICDL-EPIROB 2017), organised by Pablo Barros, German I. Parisi, Doreen Jirak and Bruno Fernandes; Lisbon, Portugal. 2017 Workshop towards Intelligent Social Robots: Social Cognitive Systems in Smart Environments (at RO-MAN 2017), organised by Amir Aly, Sascha Griffiths, Verena Nitsch, Tadahiro Taniguchi, Stefan Wermter, Adriana Tapus; Lisbon, Portugal. I served as the editor for book review articles until 2015 for the journal of Cognitive Systems Research. Further information on previous book review articles and a list of books can be found here. Wermter, S., Weber, C., Duch, W., Honkela, T., Koprinkova-Hristova, P., Magg, S., Palm, G., Villa, A.E.P. (Eds.) Artificial Neural Networks and Machine Learning -- ICANN 2014, 24th International Conference on Artificial Neural Networks, Springer Heidelberg, 2014. S. Wermter, M. Page, M. Knowles, V. Gallese, F. Pulvermuller and J. Taylor. Neural Network: Special Issue on What it Means to Communicate. Volume 22, Number 2, March, 2009. S. Wermter S., Austin J., Willshaw D. (Eds.) Emergent Neural Computational Architectures based on Neuroscience. Springer, Heidelberg, Germany, 2001. S. Wermter, R. Sun (Eds.) Hybrid Neural Systems. Springer Verlag, Heidelberg, 2000. S. Wermter, E. Riloff, G. Scheler (Ed). Connectionist, Statistical and Symbolic Approaches to Learning for Natural Language Processing Springer Verlag, Berlin, 1996. Wermter S. 1995. Hybrid Connectionist Natural Language Processing. Chapman and Hall, International Thomson Computer Press, London, UK, 1995. Wermter S. Learning of Robust Language Processing in Hybrid Connectionist Architectures. Higher Doctorate (Habilitation) thesis. Department of Computer Science, University of Hamburg, Hamburg, Germany. 1998. (in German) 302pp. Wermter S. A Hybrid Connectionist Approach for a Scanning Understanding of Natural Language Phrases. Doctoral thesis, Department of Computer Science, University of Hamburg, Hamburg, Germany. 1993. 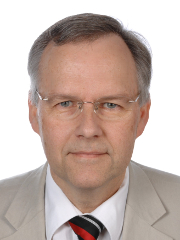 Please find Prof. Dr. Stefan Wermter's publication list here.